Alpha Pixel’s Latest Freebie is a Script That Lets You Dock the Display Filter Tab for Faster Accessibility. 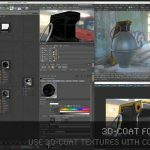 AJ Haines posts another free workflow tool for Cinema 4D. The script lets you take the viewport display Filter pulldown and make that a dockable item so that you can always have quick access. 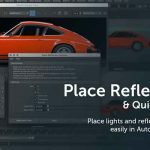 “Cinema 4D’s interface and UI customizability are amazing in my opinion. However, there are a few menus that are oddly not editable/dockable, the scene Filter being one of them” AJ notes. The script offers some options too. You can get rid of the items that you don’t use as often to clean up the clutter. You can also re-order the elements and customize the spacing between them for better legibility. 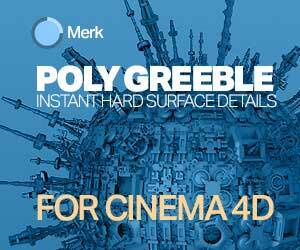 Visit Alpha Pixel to get the C4D Dockable Display Filter here. 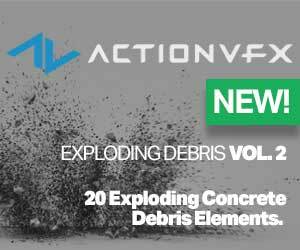 Also be sure to check out AJ’s Drop To Floor Plugin that now works with C4D R20.